Alumni Ambassador Mohamed Gaafar talks about the next steps needed to progress the SDGs and how engineers can make an impact. What steps need to be taken to Progress the SDGs? The Sustainable Development Goals (SDGs), as set out by the UN General Assembly in 2015 and adopted a year later, reformed and rebranded the unattained Millennium Development Goals (MDGs) in a bid to make it easier to track our progress towards improved goals. 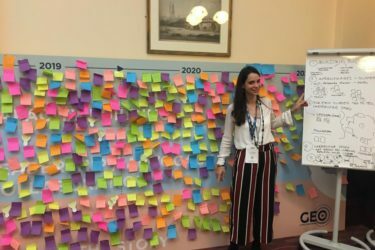 Two years on from this the Global Engineering Congress (GEC) hosted by the Institution Civil Engineers (ICE) provided Engineers and Built Environment Professionals from around the world an opportunity to reflect on how this has really manifested. 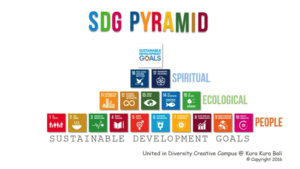 This article will discuss my findings from the GEC; exploring the steps that need to be taken to progress the SDGs and how this may affect Built Environment Professionals. Who is Driving Sustainable Development? But which actors are really at fault for the SDGs’ low priority? The SDGs are global goals, and ultimately each country must ‘Localise the SDGs’. Governments and institutions are in charge of translating goals into action in the form of national legislation, action plans and budgets, in addition to identifying partners to help achieve them. Moreover, some countries will need to prioritise some SDGs over others, out of necessity and likely lack of funding. 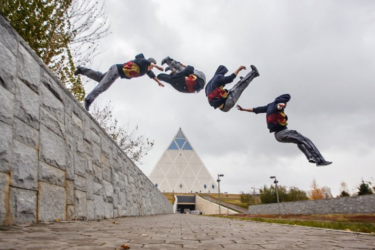 Difficulties in doing this may arise from competing goals (see Mairi’s article); political or other agendas promoting some ahead of others; and a lack of awareness of the current performance against the SDGs at a national or regional level. 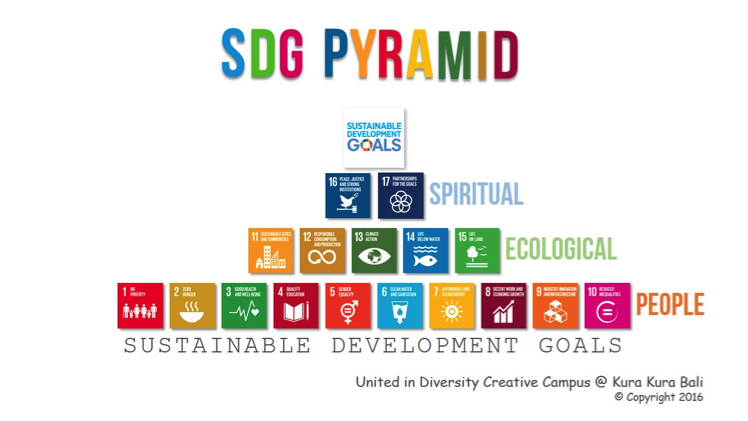 The ‘SDG Pyramid’ 1is one interpretation for a potential hierarchy of SDGs; however, this in itself could be deemed as controversial, as prioritisation of the ‘people goals’ could lead to negative ecological impacts and prioritisation is discretionary and up to interpretation. Furthermore, understanding the baseline condition is paramount in deciding the action taken. 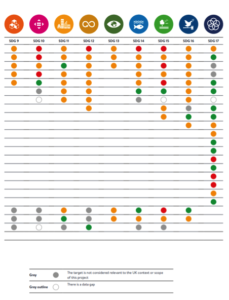 The 17 goals have a total of 169 targets, each target has between 1 and 3 indicators used to measure progress toward reaching the targets, giving a total of 230 indicators. These can be difficult to keep track of and require a multifaceted approach to engage actors across different sectors to tackle these challenges. Provide a means for people at Project level, in the Built Environment, to assess and quantify the local, regional and national impacts their project may have on the SDGs. The website ‘SDGtoolkits.org’ 2, co-funded by the EU, has been set up to engage European NGOs at National and European level on the SDGs. Throughout this website, you can find SDG tools for countries within the EU, from various different organisations. The UK Stakeholders for Sustainable Development (UKSSD)3have very much helped to ensure the UK has taken Step 1. They are a cross-sector network of organisations who work together to drive action on the UN SDGs, they produced a report called ‘Measuring up: How the UK is performing on the UN Sustainable Development Goals’ 4. The figure below shows an extract of the current status in the UK. The outcome of the report highlights some of the SDGs that the UK should be prioritising, the synergies they have with other SDGs, as well as actions for both government and businesses. 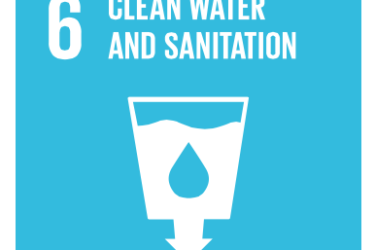 As identified in Solution 2, and the report by the UKSSD, there are many steps that the government need to take in order to promote implementation of the SDGS. One suggestion that I believe could raise their importance in the built environment is through incorporating it into the planning process. Sustainability Statements have become a crucial part of any planning application, and address core policies around sustainability, as set by the local authority. One could argue that a ‘Project SDG Impact Report’ should become a requirement for projects that have a regional impact; this could be overseen by the Sustainability Officer on the local council. Potentially, a separate SDG Board could be set up as a statutory consultee (or the UKSSD) on planning applications with regional (or national) significance, and this would allow the board reviewing, to understand the wider context. It would be necessary for this SDG Board to engage with projects at an early stage such that they can impact the sustainable aspects of the project. The report would outline the different strategies of the project, which SDGs they are addressing, and how they are being addressed. 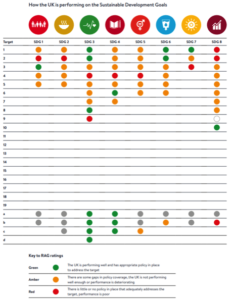 A similar approach to the BREEAM rating system could be applied, so that designers can understand how the design choices they make affect the outcome of the SDG Impact Assessment. Solutions 1 and 3 both revolve around measurement. 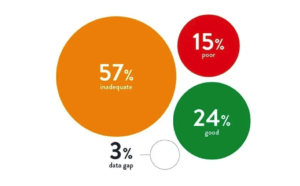 Although measurement of the baseline has some well established tools, and the UK has made good progress; many countries will have a much larger than 3% data gap, and will struggle to establish a baseline. Solution 3 however is much less developed, and discussions at the GEC also indicated this. It seems that across industries there isn’t a way of measuring the impact on a project level towards the SDGs using the existing framework and indicators; this remains a barrier to the implementation of the SDGs and in order to encourage a bottom-up approach, people need to be able to understand the impact they can have. Progress has been, and is being, made towards the 17 SDGs that we hope to meet by 2030, but if we are to achieve those goals there is a lot of work yet to be done. The UK has been able to identify the key areas and actions that it must take, but the implementation still requires radical changes in both the governmental approach and the business world. The rebranding of the MDGs into the SDGs has created a wave of impetus and optimism; but without the right frameworks, funding and monitoring from government, and the understanding of the impacts on a project level, even a developed country will struggle to meet the goals. Which places a lot of questions on how the (developing) world will achieve these Global Goals by 2030.